Long-haul trucking or freight transportation is the lifeblood of America. 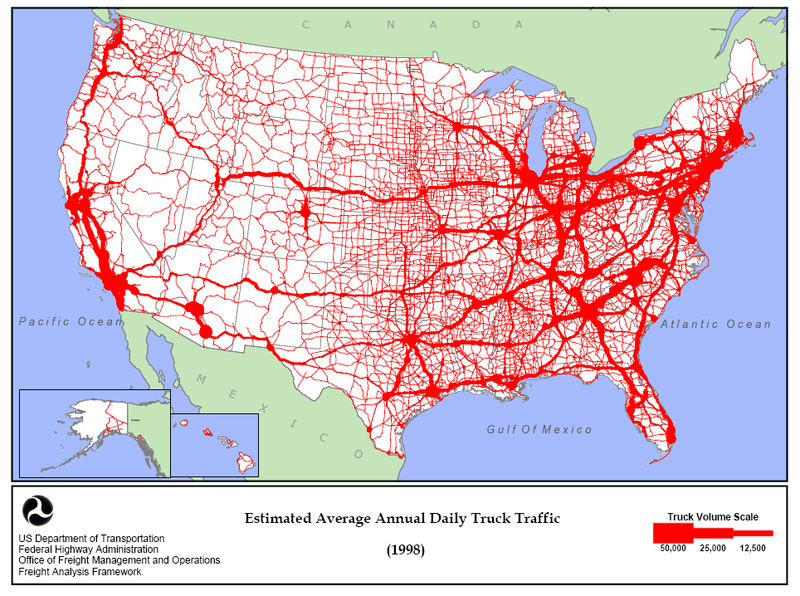 In Russia, it’s all about the rail system, but in the U.S., it’s all about the highway system. Over the years with all the ups and downs of the freight transportation market, I often wondered what is it that drives the cost of freight transportation? 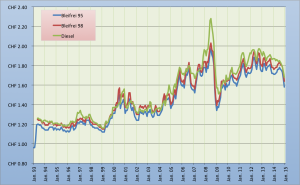 When diesel prices decline, brokers are quick to point this out as the driver of the much lower linehaul price. Diesel prices go down, this affects diesel surcharge rates, and so clients pay brokers less money with which brokers need to make a profit. I guess that makes sense. But I wasn’t satisfied and so I dug a bit deeper. What are these elusive freight transportation cost drivers? 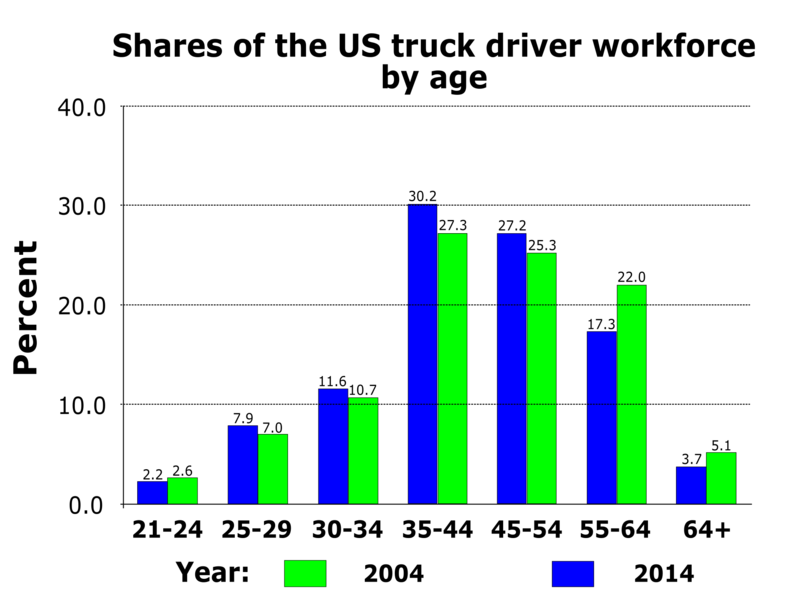 A 2011 Master of Logistics 20th Annual Study of Transportation and Trends Study revealed some interesting tidbits. As mentioned above, trucking is the lifeblood of America but what does that really mean? This 2011 study shows that among all freight transportation modes, ground freight transportation held the top position at 76.1% and of that number 64.4% was held by long-haul trucking. The rest was represented by air, ocean, rail, and barge or other. 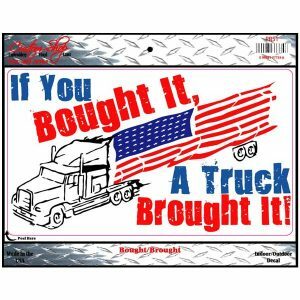 Looking at it this way, we can say that boiled down, the lifeblood of America is ground freight transportation and long-haul trucking. When we look at the three primary costs involved in long-haul over-the-road trucking, we see the following. How does this impact freight transportation costs? In other words, how do the above four bullet points drive freight transportation costs higher? Let’s have a look. Diesel fuel is the lifeblood of trucking. Can’t go very far without fuel. Oh and fuel isn’t free so as the prices fluctuate, the variability directly affects the cost of freight transportation as well as the bottom line or profitability of the carrier, broker, and client. I know that fuel prices have been decreasing and we’re no longer daunted by $4 – $5 diesel prices but I also think most will agree that generally speaking, over the long-haul (no pun intended) prices have been on a steady rise. 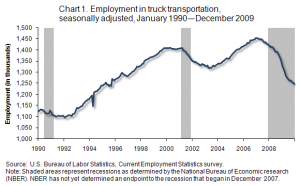 Those in business for a little while know that less and less people want to become truck drivers. The trucks are getting better and better, the industry is cleaning up, company driver pay is better than before, and much is different and better than what’s in the memories of the true veteran trucker. The problem is that because of the rear shortage of truckers entering the field, the retiring trucker population isn’t being replaced by young blood. The problem is so big that the U.S. Gov’t is deciding to lower the CDL age down to 18. Understanding driver statistics as they relate to 18-year-olds, this might paint a bleak or scary picture but the trucker shortage is such a big deal that this is being made into law. Only a trucker knows the real true cost of their equipment purchases. Most people think of two things, the truck and the trailer. While the truck and trailer do represent the largest part of the total cost of equipment, there is other expensive equipment truckers must purchase and replace from time to time in order to comply with industry standards, and to do their job right. Oh and by the way in case you haven’t noticed, semi truck prices have been on a consistent increase which only means more money out of the trucker’s pocket. This is one are which unlike fuel, equipment, or labor costs, isn’t directly purchased but does directly affect the cost of freight transportation. The federal government, USDOT, FMCSA, and other federal, state, and local institutions are making a truckers’ lives harder. Lower speed limits, day/night speed limit variations, hours of service rules, electronic logging, weigh stations, a number of other items make it harder and harder for the independent trucker to survive. I won’t even try to offer any solutions. There are much smarter people out there looking for solutions to these problems. The one thing we can all count on for now is that freight transportation costs will continue to go up. I realize that new trucks are more efficient, safer, and today’s trucker is generally better equipped to do their job. 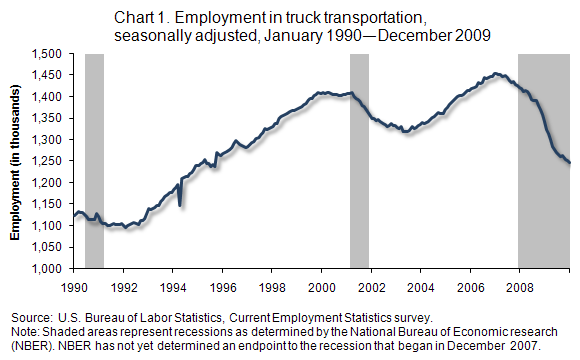 The issue as I see it is that for America, there is no getting away from trucking. As fuel prices continue to increase, the truck driver shortage continues on, and equipment prices keep going up and up, freight transportation costs will also continue to go up. 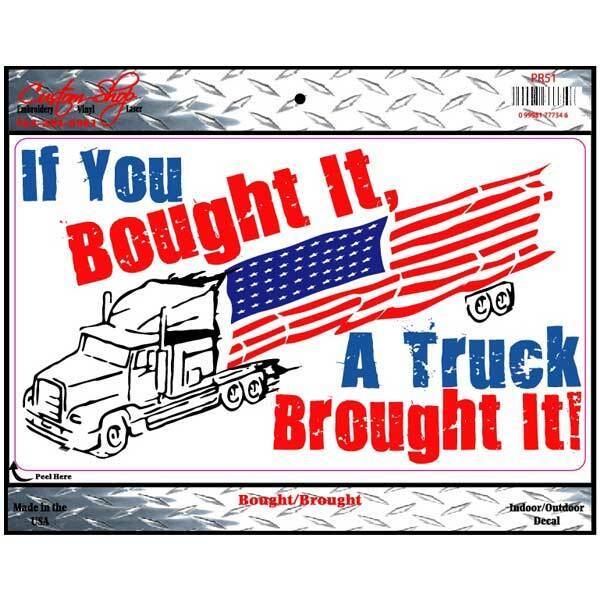 There’s a much simpler answer to this…”if you bought it, a truck brought it“.